Executive Luggage Tag A great promotional item for the frequent flyer.Our Executive Luggage Tags help people keep track of their belongings while on the go. These ultra-sturdy tags are durable and easy to attach to any piece of luggage. Imprint your company's logo on a 1/2" x 2" area, while saving space for the owners name to be clearly visible. 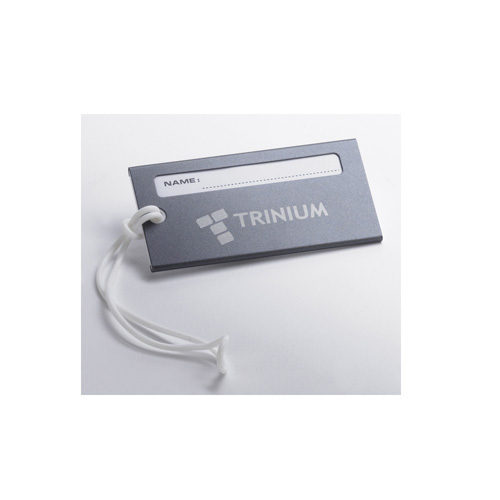 Give your employees and clients alike a fantastic travel companion with these tags! 1 3/4" x 3 1/2" x 1/8"
Bulk / 20 lbs lbs / 100 pcs. Imprint Area: .5" H X 2"